CHITRAL: Parliamentary Secretary for Tourism in Khyber Pakhtunkhwa Assembly MPA Bibi Fozia laid the foundation stone of the building of a degree college for girls at Ayun village here on Saturday. The village is known as the gateway of the three Kalash valleys of Bumburate, Birir and Rumbur. Speaking to the local people on this occasion, she said that the college was their longstanding demand which would also benefit girls from the nearby Kalash valleys who had to discontinue their studies after the secondary school. Ms Fozia said that the estimated cost of the building project was Rs236.77 million. 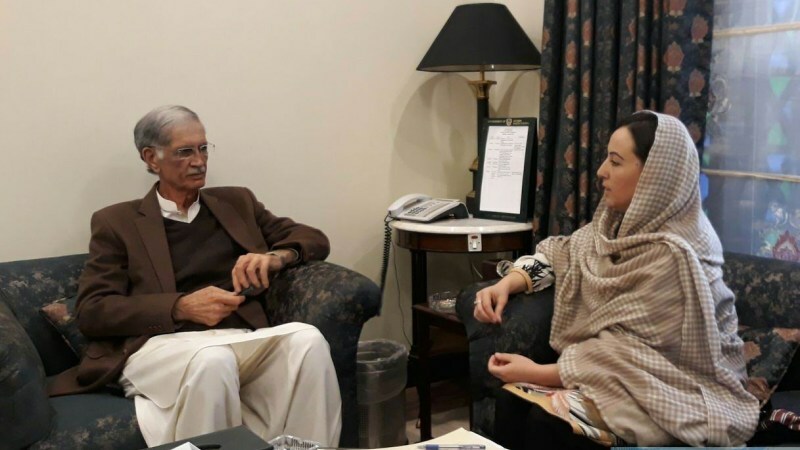 She claimed that the PTI-led government had given top priority to the education sector, which was clear from its accomplishments during the last over four years. She said that Chitral was one of the districts which got special favour of the government as it got a full-fledged university, two degree colleges and scores of primary, high and higher secondary schools. The MPA claimed that 35,000 children from the private sector schools had switched over to the government schools during the last one year due to the drastic improvement in their standard. She claimed that Pakistan Tehreek-i-Insaf would also win the next general elections on the basis of its performance in health and education sectors and form its government. The function was also addressed by Kalash leader Wazir Zada and member district council Rahmat Ilahi.